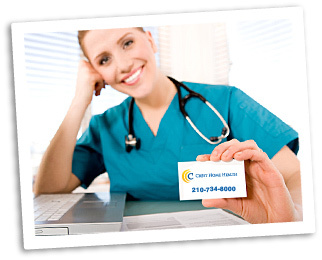 Crest Home Health is a Texas-based home health care company that provides a wide range of health-related services to clients with varying needs from all age groups. We commit to providing Client-focused quality health care and promoting Client independence. We participate in promoting health knowledge and providing opportunities to empower our Clients to achieve optimum health and quality of life. We foster teamwork with our community partners and stakeholders who also possess a Client-focused philosophy. We foster trust, competence, commitment, job satisfaction and teamwork to fulfill our commitment to our Clients. Clients Are Empowered - Crest Home Health provides understanding care to our clients. Our nurses, health care aides, companions/sitters and home support workers are fully trained, referenced and insured. Our services are available 24 hours a day, 7 days a week. We are happy to complete a no-charge at-home assessment for your peace of mind, or to assist you with hiring the appropriate level of staff. Respect for our clients' individual worth and dignity is a hallmark of Crest Home Health. Client independence and quality of life are balanced with their physical, intellectual, emotional, social and spiritual needs. This is Crest's holistic approach to providing understanding care to the communities we serve.